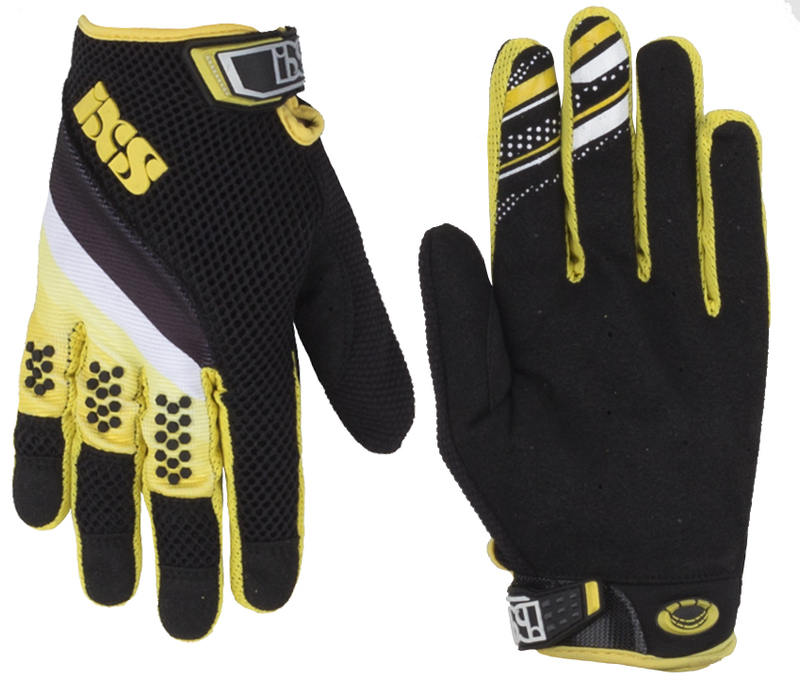 The iXS Dh-X 5.1 Gloves are stylish and made for those who care more about style and speed than a ticking clock. They feature pre-formed ergonomics, which provide a great fit and comfort when riding. The stretch panels conform to your hand for added comfort and improved fit. With a silicone grip you’re never going to slip from your bars no matter how hard you ride. You’ll get plenty of breathability through the sandwich mesh structure, which helps keep your hands cool during your rides. I like the fit and the gloves are breathable. Palms seem to be made well. They don't have padding but that is what I was looking for. I will have to wait and see how they hold up. These gloves rock, nice and thin with just enough padding. I paid $19 for these, and at that price, they are a great value. I'd say that the gloves are ideal as a mid-level of protection. 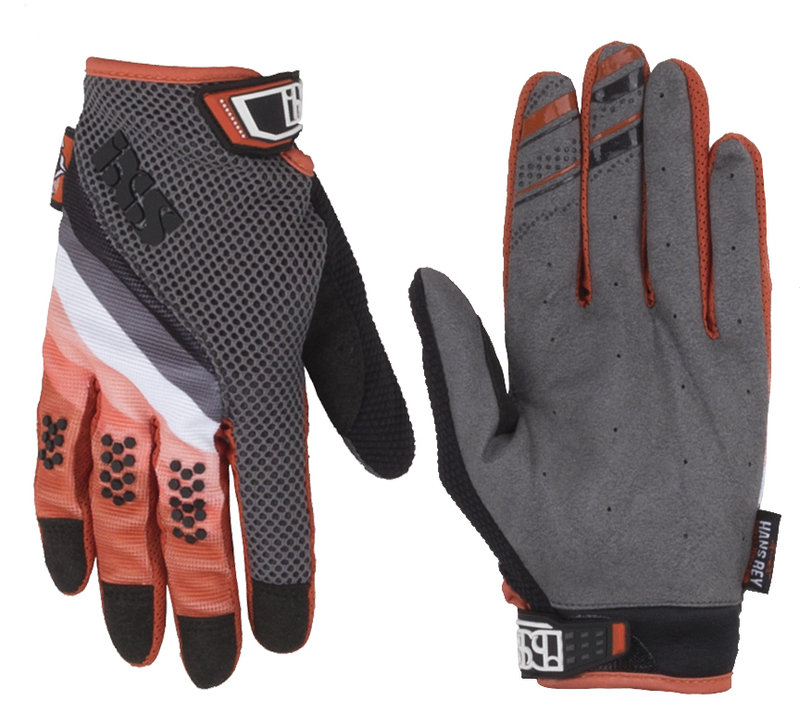 They aren't full on DH level gloves as the model description might imply, but they are more than decent and well ventilated for all-mountain/trail riding or even blacks and double blacks at slow/moderate speed. I wouldn't use these in an enduro race or in the bike park. They are comfortable though and they are true to size, I measured my palm and matched it with the iXS size guide before buying. Not disappointed. Will report back on durability, I've only had them a few days. Gloves. Yup. They're good. Bought them because they were well discounted. Don't know what exactly makes them "dh" but whatever. Fit a little tight. That's ok with me. So the gloves themselves work great, the color coating/texture grips on inside of the fingers basically rubbed off. This hasn't impacted the use of the gloves just makes it feel cheap. So far ok. 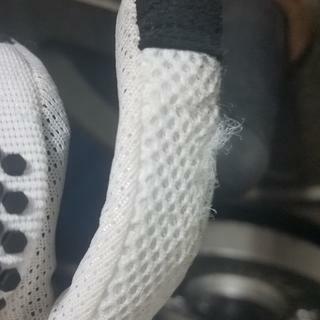 Except the velcro once it touches the softer part of material it pulls material.